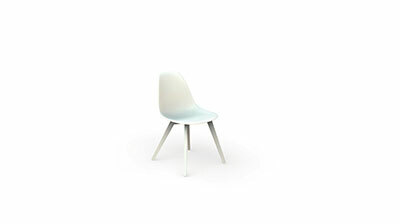 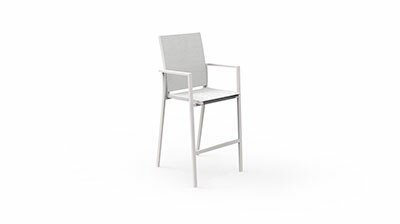 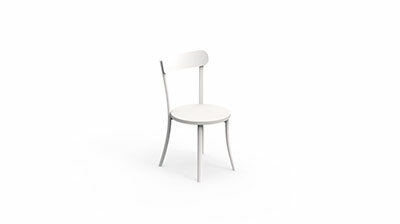 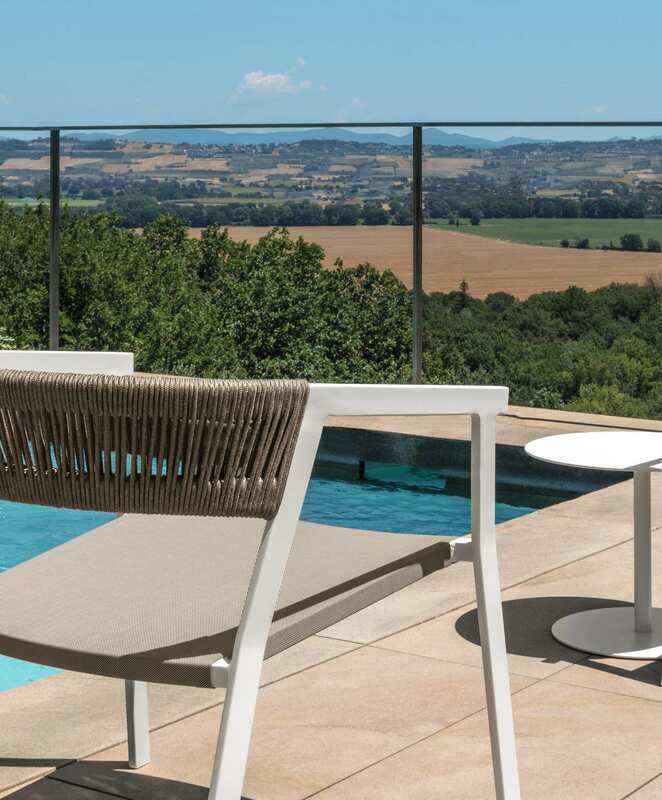 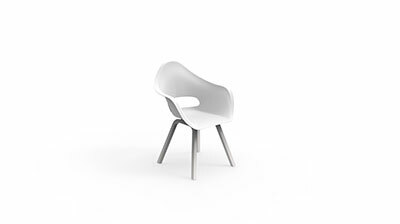 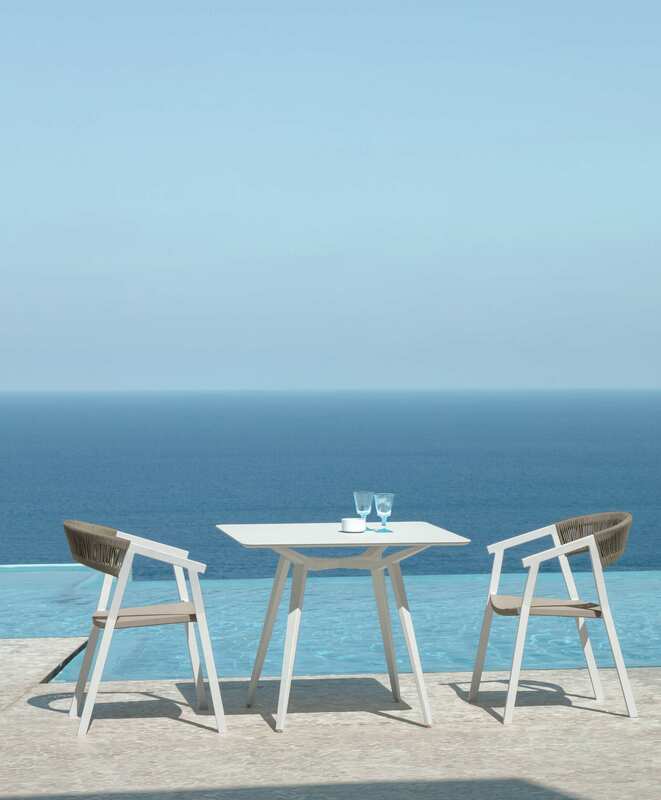 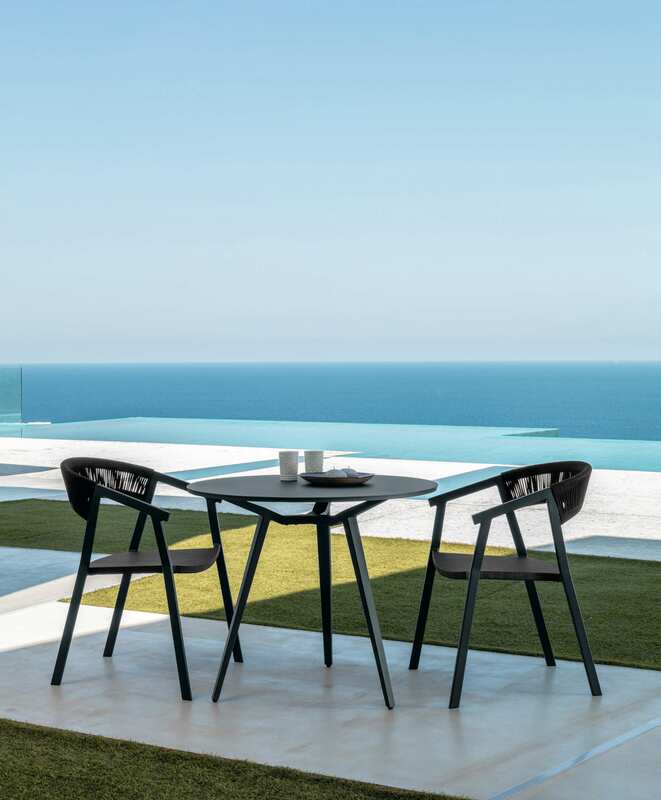 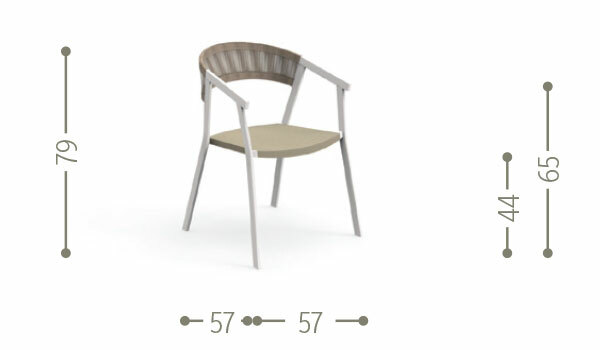 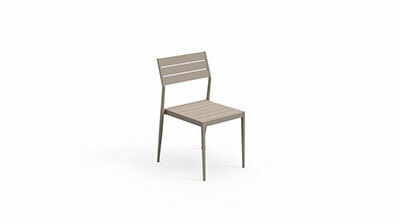 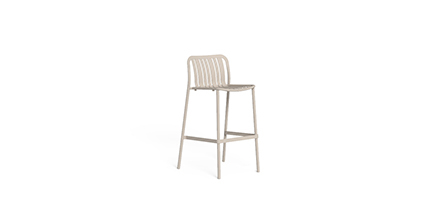 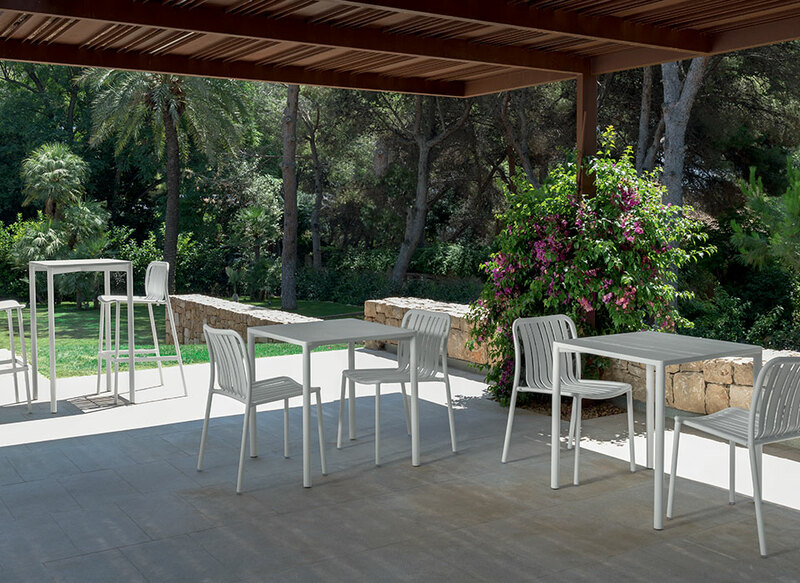 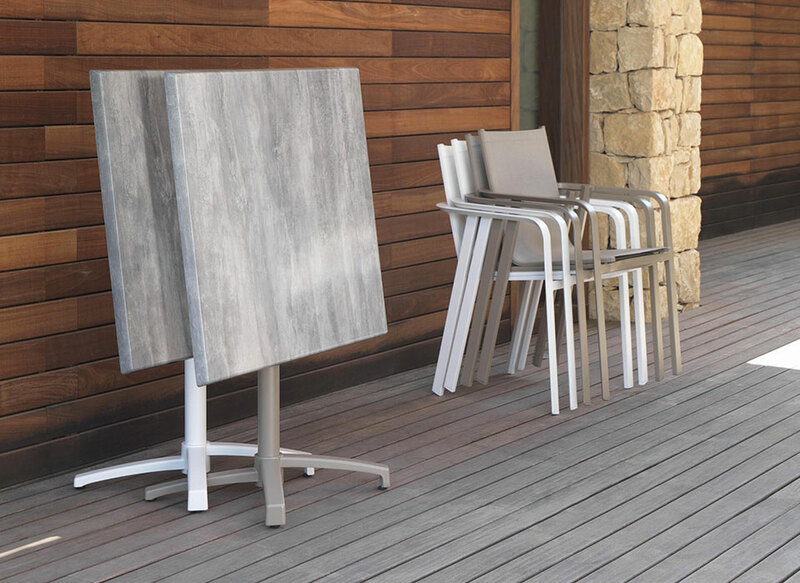 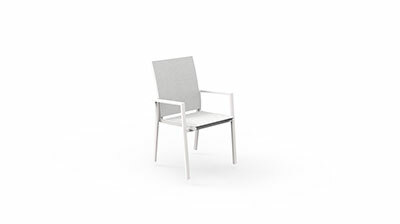 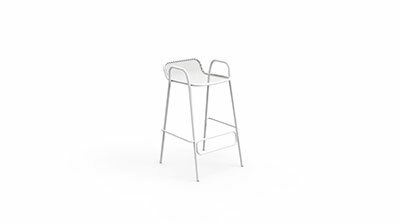 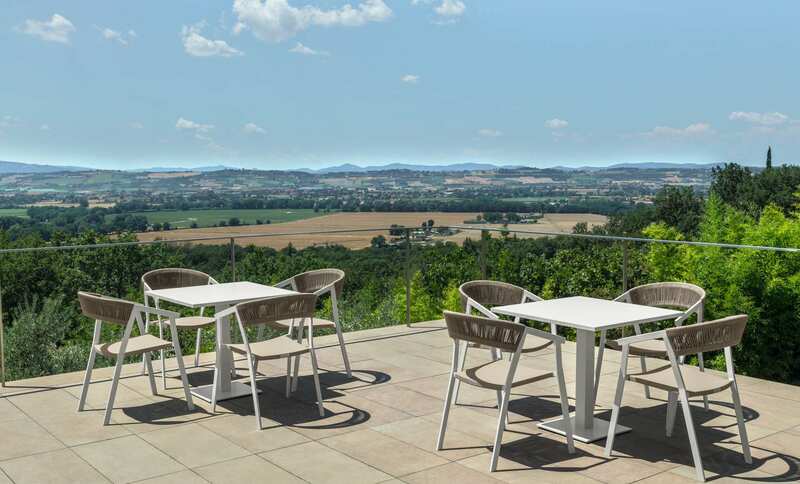 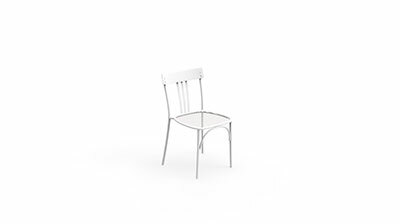 The slim chair evokes lightness and stability. 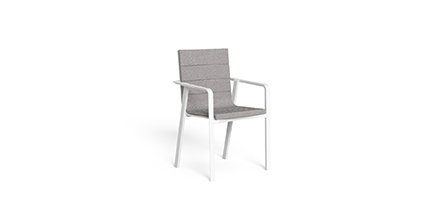 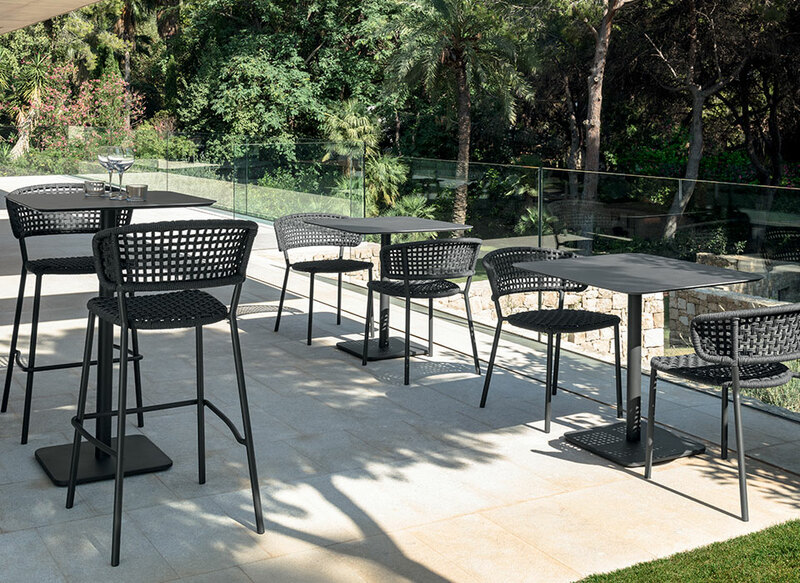 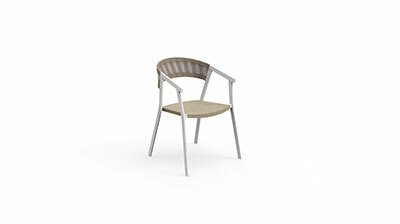 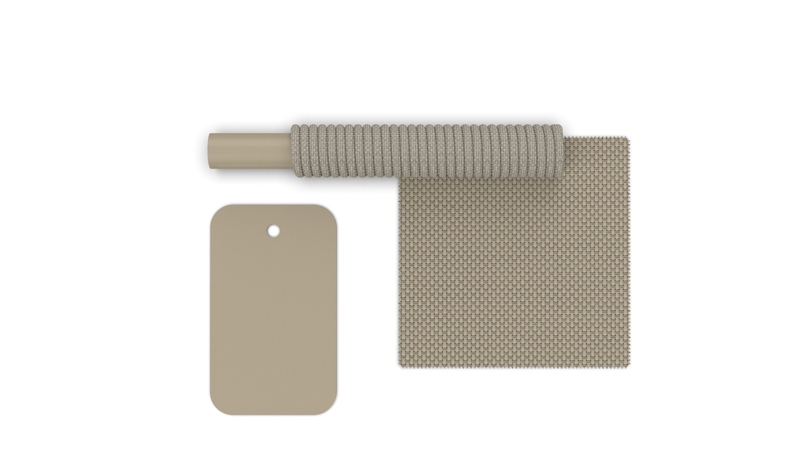 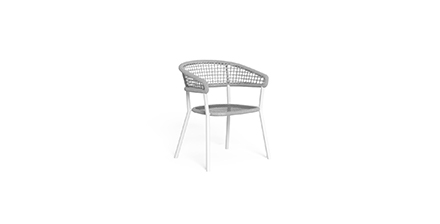 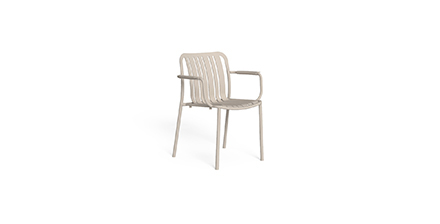 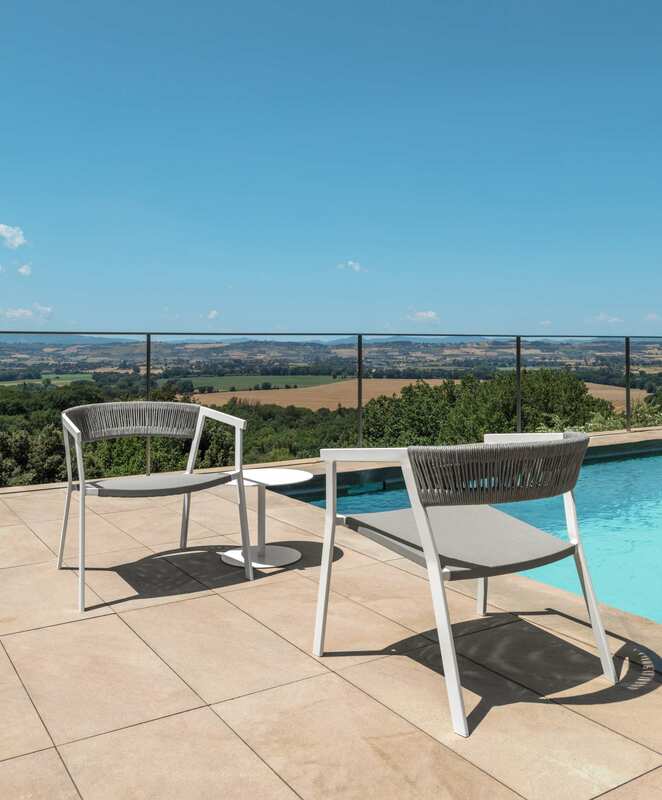 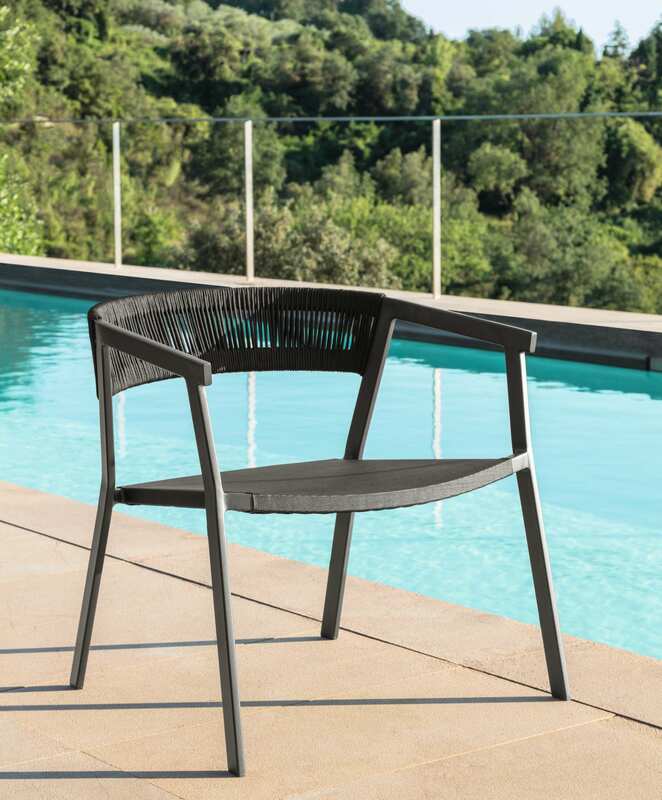 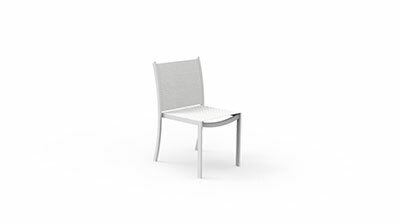 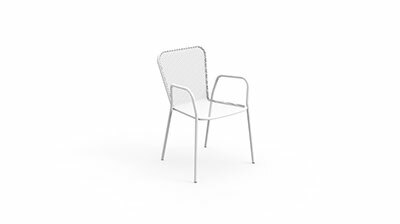 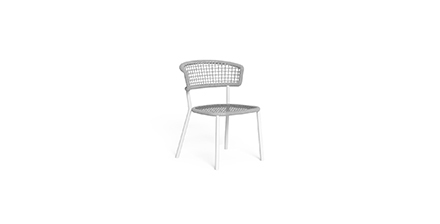 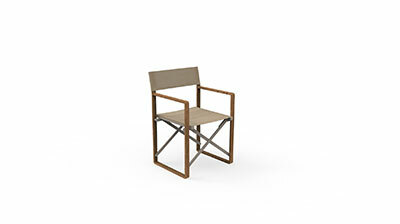 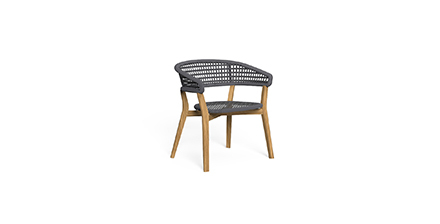 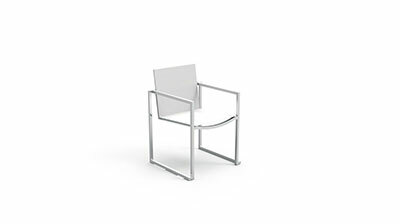 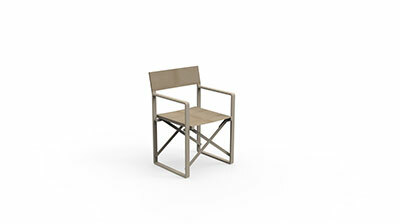 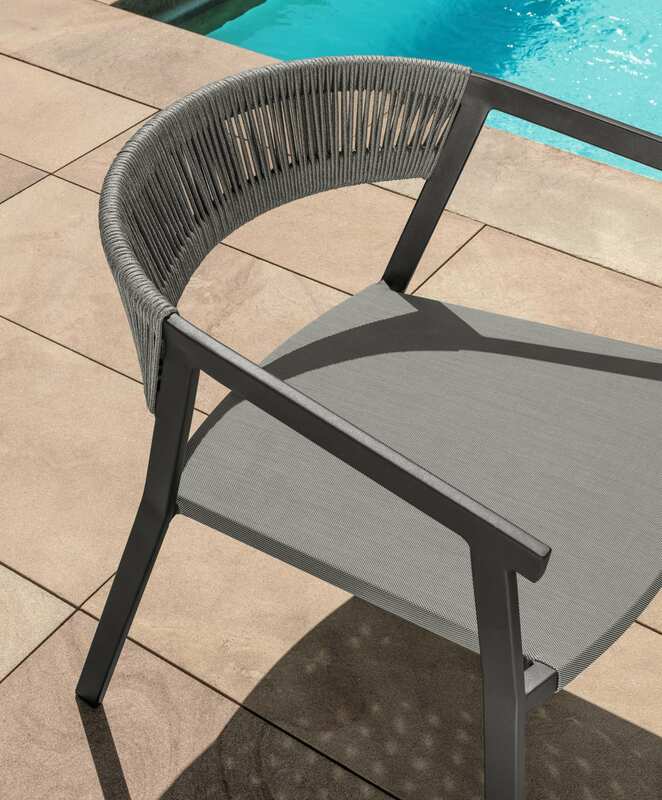 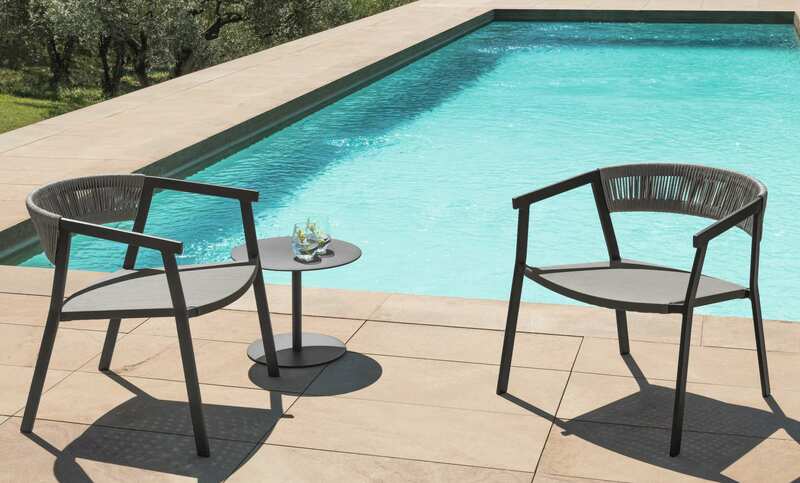 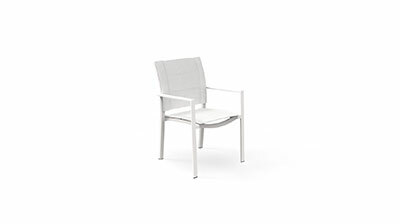 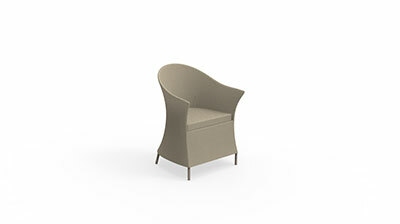 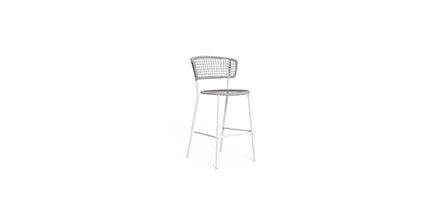 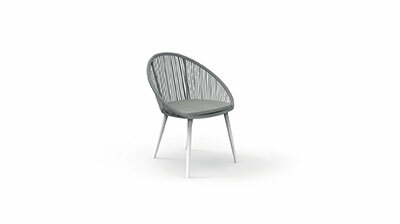 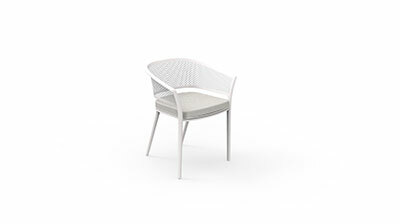 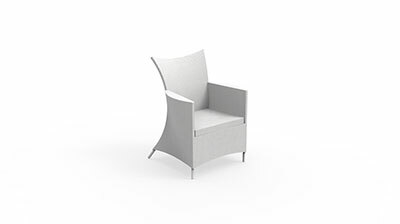 The backrest is obtained by curving the rectangular-section aluminium tubular pieces and it is covered with rope. 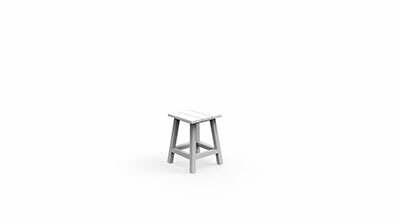 Texteline cushion.